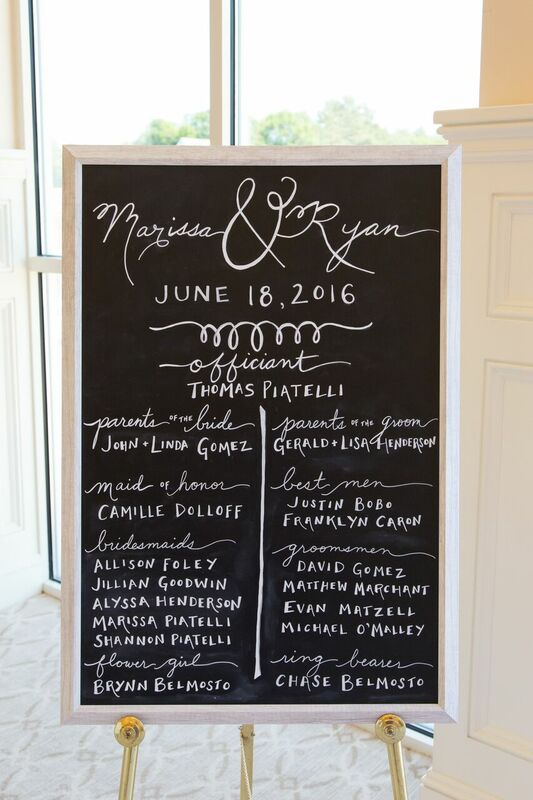 Happy Anniversary to Marissa and Ryan! We can't believe it has already been one year! 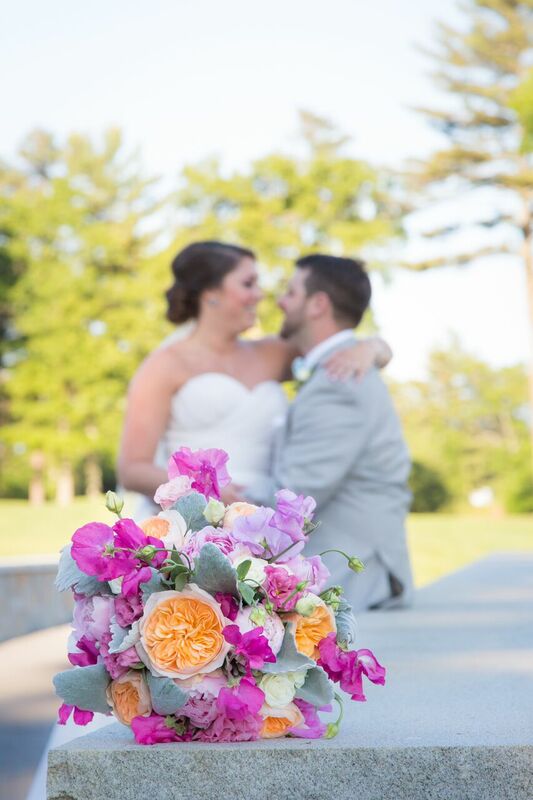 Marissa and Ryan were married on a gorgeous summer day at Indian Pond Country Club. The bridesmaids wore aquamarine which we paired with pops of coral, green, and pink blossoms. 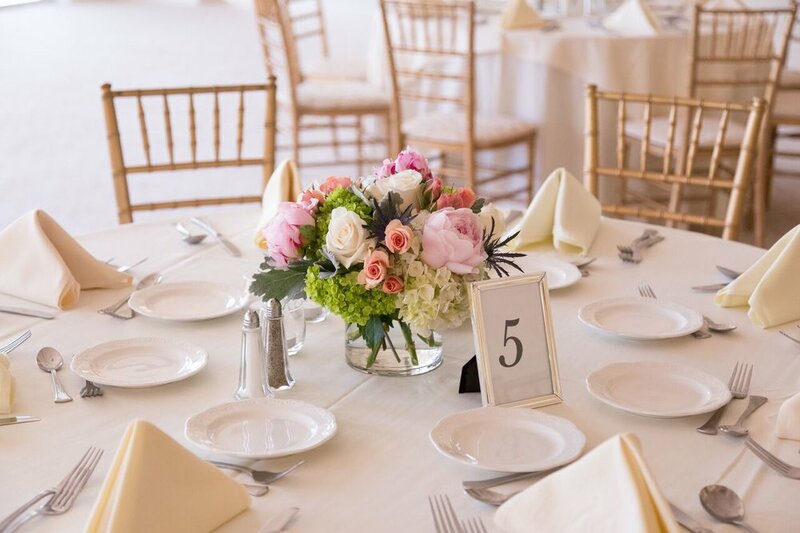 The bride also carried a colorful bouquet with soft touches of sweet pea for added texture. This wedding was extra special for our Artistic Blossoms family. The bride has been best friends with Camille since childhood, and Camille was so honored to be the Maid of Honor. 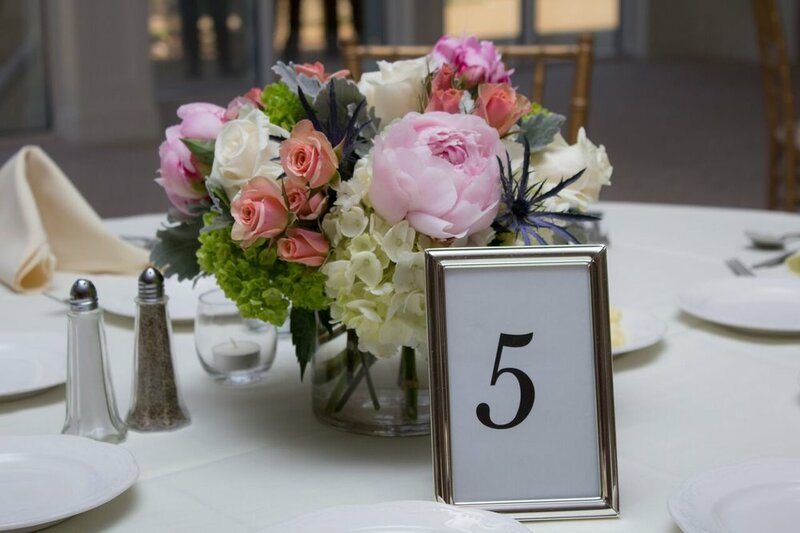 The rich color theme continued into the reception with textural blossoms including hydrangea, peonies, spray roses, and blue thistle. A mix of of the centerpieces incorporated sea glass and starfish to include the bride and groom's love of the sea. It was a spectacular day to celebrate love, friends, and family. 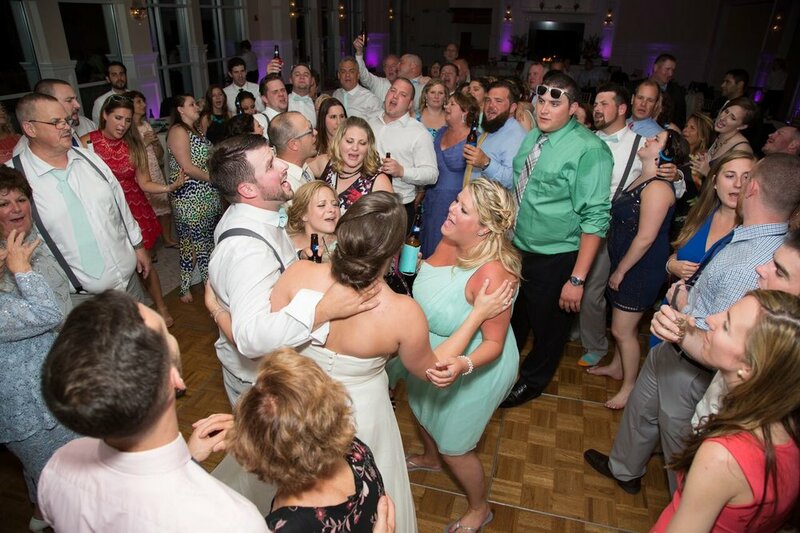 DJ: (check out all that dancing!!) Mike's Music, Inc.